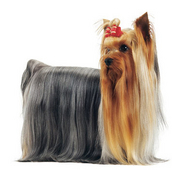 In 2002, ROYAL CANIN® developed the first nutritional answer dedicated to the Yorkshire Terrier. Since then, over 20 breeds have their own nutritional solution. This knowledge has allowed ROYAL CANIN® to reveal the particular sensitivities of each breed, far beyond merely its size. It has also enabled the launch of tailored formulas responding to each breed’s specific needs. To encourage good oral hygiene for the Yorkshire Terrier, thanks to flaky textured kibble. A specially developed kibble shape for brachycephalic breeds (e.g. Boxer) to enable then to pick up food more easily. To help slow down the speed of ingestion for larger breeds such as the Labrador Retreiver.